Westminster Canterbury of Lynchburg is opening a NEW, state-of-the-art Healthcare building this summer that creates a more home-like environment for our residents and staff. You have the opportunity to join us. We value our employees for their skills. You will be rewarded with competitive pay, comprehensive benefits packages (including but not limited to Medical, Dental, Vision, and 403(b) plan, opportunities for growth, paid time off, and more! Perform a variety of selected resident care tasks under the direction of the team leader to assist in the care of residents. Document ADL and restorative care in AOD Electronic Health Records. 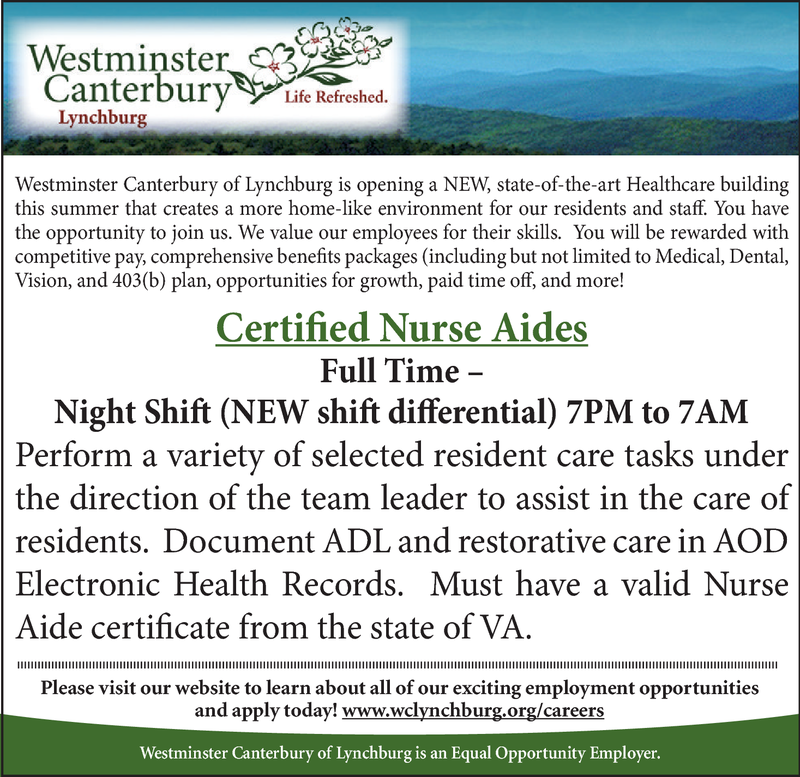 Must have a valid Nurse Aide certificate from the state of VA.
Westminster Canterbury of Lynchburg is an Equal Opportunity Employer.